If you have been injured in an accident caused by someone else’s negligence or mistake, you deserve to be compensated for your medical costs, lost wages, lost earning capacity and maybe even your pain and suffering. If you have lost a loved one due to medical malpractice or any kind of accident, you can protect your family with a wrongful death claim. A personal injury can impact your life in many ways. Contact an experienced attorney and make sure you are prepared for the challenges ahead. At the law offices of Pulgini & Norton, we are ready to help you get the medical care you need and financial compensation you deserve. With recent tort reform in the Commonwealth of Massachusetts, it is more important than ever to retain a personal injury attorney with both negotiation and litigation experience. From our offices in Braintree, Hyde Park and downtown Boston, we are ready to help. 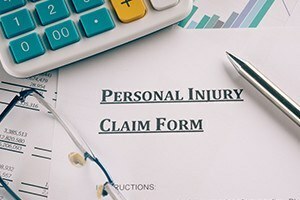 If you or someone you love has suffered a serious personal injury in any type of accident, do not delay talking to an experienced attorney who can help. Contact us today to schedule a free initial consultation at our downtown Boston, Hyde Park or Braintree, Massachusetts office locations.